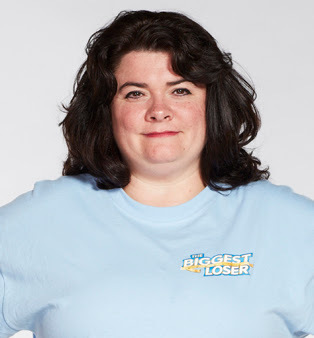 Last night was week 3 in the Biggest Loser camp and sadly we said goodbye to one of my favorites. I won't say it in this post because I am sure a lot of you are waiting to watch it when you can. I was not envious of the BL workout challenge last night. Running through bubble gum to grab a 10 lb medicine ball then run back through the gum? The entire time I was worrying about what would happen to their hair. The blue team was locked in a junk room for 4 1/2 hours every day for the entire week. They were surrounded by video games, comfy couches and every piece of junk food imaginable. The contestants laid around for that entire time. All I could think to myself was, even though you're not able to workout with Bob in the gym it doesn't mean you can't workout. They could have made up their own workouts or did SOMETHING other then lay around for 4+ hours a day for an entire week. Don't they realize this is what got them on the BL in the first place? Bob's last chance workout was my favorite. All you need is a deck of cards, 4 moves and your body. I plan on doing my own version of this workout either tonight or Friday, I'll be sure to share it when I do! She annoys me every episode. She's lazy and cries over absolutely nothing, resulting in Jillian tearing into her week after week. I'm just ready for her to go...anyone else? Another thing that bothers me about BL? 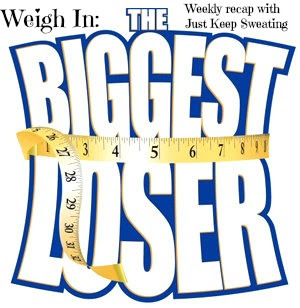 The fact that the contestants get upset with losing only 2 or 3 pounds in a week. The show focuses so much on losing too much too soon which is one of the reasons I stopped watching for awhile. Losing 2 lbs in a week is HEALTHY and NORMAL. It kills me that they get so upset at "low numbers" and feel like they have to explain themselves when it comes up on the screen. So far I am loving season 14 of BL and can't wait for next week! I agree about the "low" numbers. I too hate that they feel they need to explain themselves. You are right, 2lbs a week is normal and healthy. Not every week can be 20lbs. I get their frustration but when they go home, they have to be realistic to what normal numbers are. I agree on all 3 points: the gum in hair could be a nightmare, I can't stand Pam and Bob's last chance workout rocked! I am so doing it this week. I was so annoyed that they didn't workout in the room. I'm sure they could have don jumping jacks, squats or sit-ups. I was also bummed that people were upset to lose 2 lbs. Heck I'm dancing for joy when that happens. Show mentality vs real life mentality...wish they were better at addressing that issue. I think my favorite contestants are the kids so far. They are too cute! 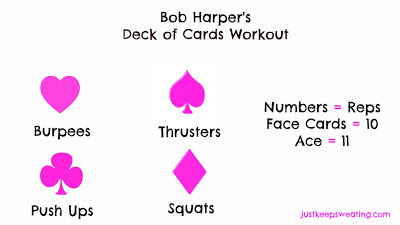 I loved Bob's last chance workout and am definitely going to be keeping that in my back pocket for future workouts. Also, not a fan of Pam's and hate that she was the BL for the night. Oh i love the workout graphic you made. My only question is how many cards do you pull? Do you do the whole deck? Yep you work through the entire deck! GREAT workout! I don't think they were allowed to workout. Dolvett said that when he was talking to Bob. I wanted to smack Bingo's parents. Who lets their kid play a video game for 9 hours?!?!?!! Bob's workout was a good one. Definitely going to try it! Thanks for the graphic you made! Pam drives me insane! She's given this amazing opportunity and she complains all.the.time. I haven't watched last night yet. I really don't have a favorite as of yet but I do really like the mom on the red team with the short hair. She seems so happy to be there. I don't watch Biggest Loser, but oh my god that bubble gum thing sounds horrific!!! Worst workout ever. I agree with what you said too!! Gum, Pam, could do without them! The contestants were not allowed to workout while they were in the room so for me to be in there I would have to sleep so I wouldn't be tempted!! I think BL should have made that more clear. Ugh, I can't stand Pam either- for all the reasons you listed. Then when she lost 9 lbs., and did that crazy dance on the scale, with her hair flying all over the place. WTH! I know the blue team couldn't workout with machines, but it does seem like they could've done something! Pam irritates the crizzap out of me for everything you mentioned. Yes, it's hard and painful and exhausting. I'd probably want to be complaining too but with an opportunity like that?! Shut your yap and just grin through the pain, sweat, and exhaustion. Ugh. I missed Monday's episode but will catch up this week. 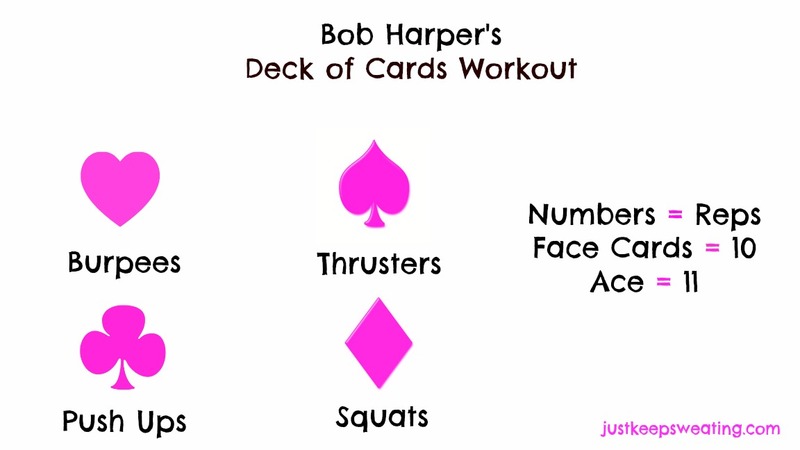 Love incorporating a deck of cards into workouts! time locating it but, I'd like too shoot you an e-mail. I've got some suggestions for your blog yoou might be interestwd in hearing.